Bark collars punish your dog for barking by emitting an irritating, high-pitched sound, a spray of citronella, or delivering a painful static shock via metal prongs on your dog’s neck. The collar detects sound and (sometimes, vibration from your dog’s vocal cords) and delivers a punishment when your dog barks. If the level of correction is mild, the dog may choose to bark despite it. Some collars increase the power of the punishment if the dog continues barking, until they are finally subdued. 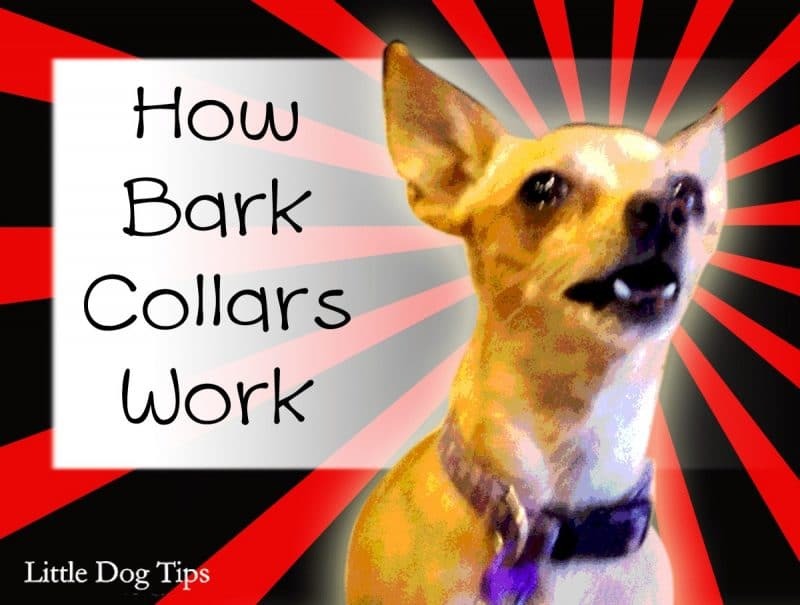 Can bark collars work stop yappy dogs from barking? Absolutely. Should you use one if you’re at the end of your rope, and need to get your dog to stop barking lest your landlord kick you out, or you have to rehome your dog? Learn the facts and decide for yourself. You strap a bark collar to your dog, and you fit it carefully to ensure that the metal prongs are protruding past her fur, pushing into the soft skin of her neck. 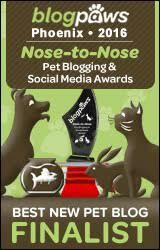 Or, you make sure the “box” is below her nose so she’ll get a faceful of citronella spray when she barks. Then, she’s sitting by the window and spots the mailman, dropping off a delivery. Her heartbeat accelerates, and she goes into “alert mode.” Her instinct to protect her family and home kick in. She opens her mouth to speak up, and lets out a bold, powerful bark. Suddenly she’s in pain, or overwhelmed with a powerful spray of a scent that stops her cold. She barks again, and she’s punished again. She makes the association – that when a stranger comes to the door, and she barks, she will be punished. She will not suddenly “understand” that barking is bad, or that it annoys you, or pisses off your landlord. She only understands that bad things happen to her when she barks. Alternatively, she might be wearing her bark collar when you leave the house. She hasn’t been properly introduced to her crate, and the idea of being alone, so naturally, she barks, because she knows that sometimes gets your attention. Again, she’s punished, and associates not only barking, but the situation with a punishment. She may get a warning beep on her first bark, so the fear of punishment will keep her silent, rather than an actual shock or spray, this time. She’s still on alert when strangers arrive, her heartbeat rapid, her nerves on edge. She’s still unbearably lonely when you leave – now, just silent. A Cornell University study of just 8 dogs showed that, while half of the dogs continued to bark despite static corrections from a shock collar, all of them stopped barking when wearing a citronella collar. However, the citronella collar was triggered by the sounds of other dogs barking, and one dog owner reported that it stained their furniture. Shock collars, in general, have been shown to have long and short-term consequences: fear and aggression. With a device that isn’t 100% accurate in delivering corrections at the appropriate time, there’s an even higher risk of fallout. Most of the time, a dog barks when she thinks she needs to be on alert, but 99.9% of the time, she’s wrong. In that other .01% of the time, you’re in danger, or your house is being broken into – and her bark can scare away a criminal. She needs her bark to communicate that she’s scared, on alert or angry. Without her bark, she’ll express herself in the next best way possible – by resorting to attack. If her issue is barking related to separation anxiety, her anxiety can cause her to destroy items in your home, have accidents, or chew her paws or tail to the point of rawness. 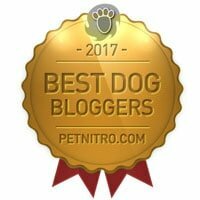 If you’re here, you’ve already noticed that this is a blog post against the use of bark collars – and you’re still listening. If you use or have considered using a bark collar, you’re not alone, nor are you a bad dog owner. It’s tough to have a dog that barks, especially when you’re not around when it happens. Your neighbors may be complaining. Your landlord may be threatening to evict you. You want to keep your dog. But there are still better options, with fewer risks of causing other behavioral problems. Positive reinforcement training can take weeks, even months, but the results are long-lasting, and you won’t need batteries or refills to keep up the good work. It’s important to prioritize the reason behind your dog’s bark, rather than focusing on the noise they make, even when their bark is causing troubles for you. A dog that is not aggressive can actually be provoked to attack if they experience a punishing shock when they are trying to warn off a visitor or intruder. This is known as redirected aggression – the dog’s natural response is to attack whatever is causing it pain, and when it cannot attack the bark collar, they may redirect their aggression to the nearest target – an individual that they believe is dangerous. It’s ideal for your dog to bark once or twice to warn and alert. They should be able to settle down once you give them the “quiet” cue. Expecting your dog to be silent when people come to your house is unreasonable, especially for breeds designed to guard and alert: Chihuahuas, Dobermans, Rottweilers, Scotties and Westies, to name just a few. This puts your dog into a habit of being able to focus on you, even when they’re engaged in alert. This is important because dogs look to us in uncertain situations. They’re reassured when they see that we’re calm. Take a walk around the block, go back home, and watch the video. What does your dog do when you’re not home for a short time? If they’re staring out the window, try window film, curtains, or take any other measure that will block their view. Windows stress dogs out. Try the exercise again, doing whatever you can to get a relaxed, quiet dog when you’re gone for just 10 minutes or so… without a bark collar. When your dog’s barking problem is due to people ringing your doorbell, you’re in luck – you have a lot of training options, and since you’re home when this happens, there’s a lot you can do to quickly solve the problem. Your dog barks at the mailman to make him go away. Since the mailman has a route to tend to, your dog’s actually right – he will go away if she barks. Your mailman likely comes at the same hour each day. Or, you can practice with a friend. Hang out in the same room as your dog, and actively train her. Ask her to do all of her favorite tricks, and give her lots of praise and treats. As the mailman walks up to your house, rapidly click and treat – or just praise your dog and treat her – from the time the mailman or friend walks up to your mailbox to the time they leave. If your dog is especially alert, you may have to give her small bites of bacon, rapidly, for this entire time. Ideally, you start before she can start barking, and she can go the entire visit without barking once. If she does, that’s okay. The important thing is that you do not fall into that tired routine of having your dog bark and yelling at her. Dogs depend on us to tell them how to react to situations. When we remain calm and continue training despite a visitor, our dog realizes that visitors are nothing to stress over. When we yell at our dogs for barking, they don’t always realize we’re yelling at them – they instead anticipate a high-stress situation whenever visitors come, and can’t help but bark when someone arrives. 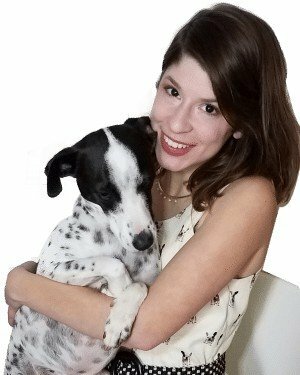 I could never spray, shock or yell my dogs into shutting up, no matter how annoying they can be. When I look into those brown eyes, I feel their innocence, their love and their trust. I understand that not everyone is a mush like I am. But this is not just about ethics. Training your dog not to bark addresses the reason for their reaction. It’s how you can reduce their anxiety and need to alert. It’s how you can stop barking without recharging a device every week, or buying refills of a stinky spray. 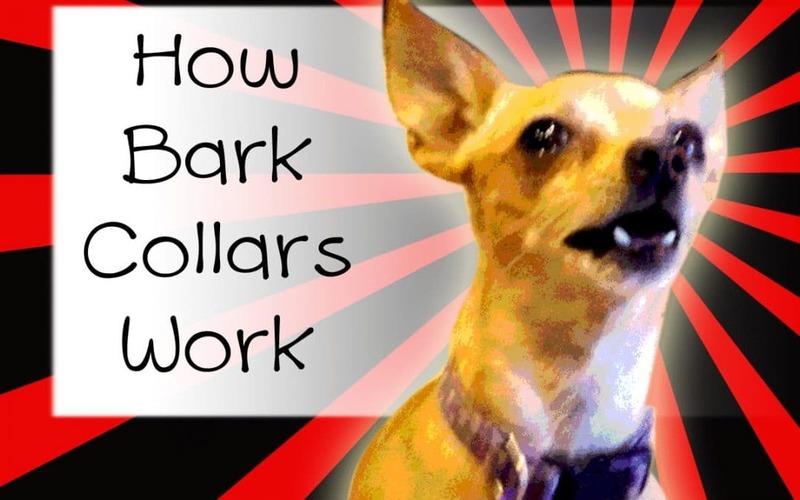 Truth: There’s no quick fix to stop a dog from barking. There never will be. 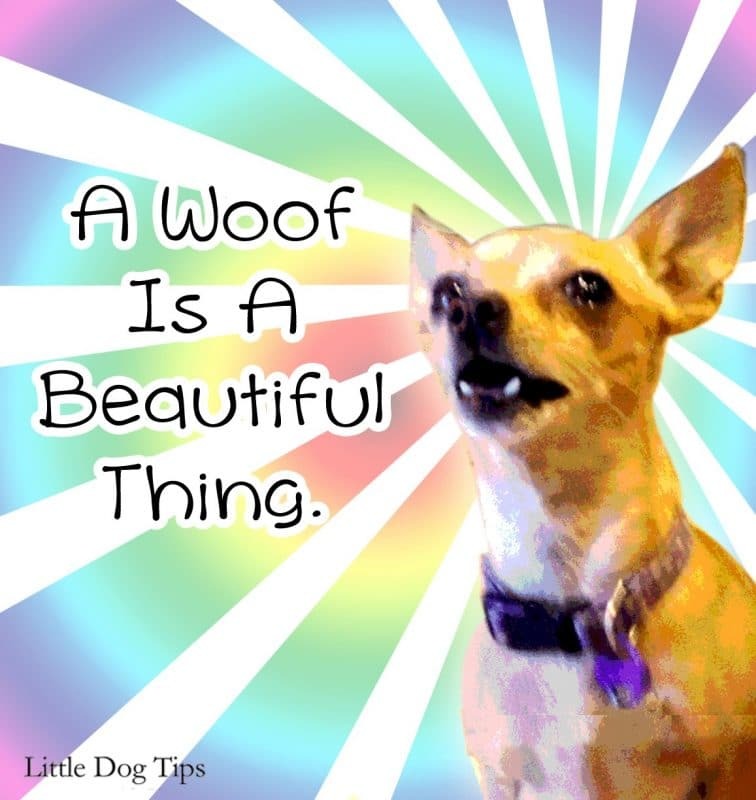 To me, a “woof” is a beautiful thing. In 15 years or so, when your dog is merely a memory and a box of ashes from the vet, there’s nothing you won’t do to hear that “woof” again. So, please take the time to train your dog so she will know what to do instead of barking. It’s so worth the time, and once you learn to do it with one dog, you’ll always have those positive training skills to help every dog in your life learn to be calm, quiet and happy. Mine doesn’t bark all that much, but I always feel guilty seeing him struggling with any kind of restraints. Fortunately, I did not have to use this collar bark thing. My dog barks at my neighbor because he is mean to her. Now he has called animal control because she won’t let him enjoy his back yard. For now I lock her in the house while I’m gone. That’s a long time for her to hold her bladder. Any ideas of how to get her to ignore him? Would completely blocking her view help? That’s awful to hear! But as long as your girl has access to water and the weather isn’t a problem, animal control probably won’t do anything. In the meantime, save any texts, emails, voicemails, just in case you’ll need them in the future. Depending on how mean this guy is, he could kidnap her, try to poison her, so I wouldn’t leave her outside unattended regardless. As for her bladder, would she use potty pads or something like a BarkPotty? Or could you section off part of your yard into a small dog run? I’m not sure if blocking her view would help because noises could set her off, too. My neighbor suggests me a dog bark collar a couple of days ago because my dog barks at my neighbor. So I am thinking about a bark collar though my dog does not bark a lot and not at all people. You have shared some good bark collars, I will try one of them. Thanks for sharing!